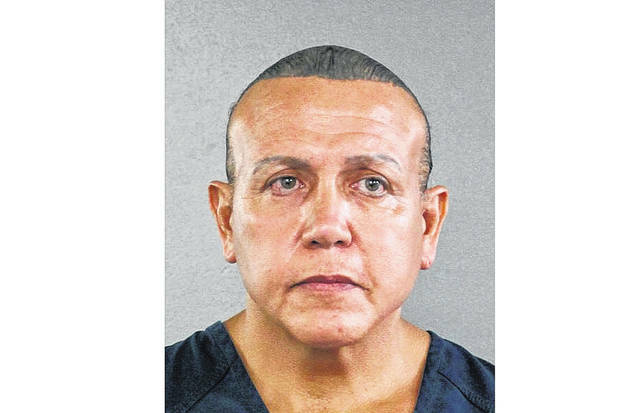 WASHINGTON (AP) — A Florida man with a long criminal history was charged Friday in the nationwide mail-bomb scare targeting prominent Democrats who traded criticism with President Donald Trump, a significant break in a case that seized the national conversation and spread fear of election-season violence with little precedent in the U.S.
Friday’s arrest capped a nationwide manhunt for the sender of at least 13 explosive devices addressed to prominent Democrats including former President Barack Obama, former Vice President Joe Biden and Hillary Clinton. The case continued widening Friday with new packages addressed to New Jersey Sen. Cory Booker and former National Intelligence Director James Clapper — both similar to those containing pipe bombs sent to other Trump critics. Even as Sayoc was detained, investigators in California scrutinized a package sent to Democratic Sen. Kamala Harris, her office said. That marked a change in tone from his Twitter post earlier Friday complaining that “this ‘bomb’ stuff” was taking attention away from the upcoming election and that critics were wrongly blaming him and his heated rhetoric for stoking violence. In his remarks after the arrest, as in his comments throughout the week, Trump did not mention that the package recipients were all Democrats or officials in Obama’s administration, in addition to CNN, a news network he criticizes almost daily. 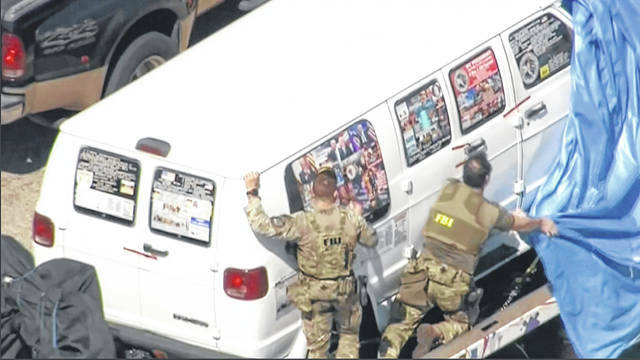 Sayoc was arrested near an auto parts store in Plantation, Florida, north of Miami. Across the street, Thomas Fiori, a former federal law enforcement officer, said he heard a small explosion — possibly a “flash-bang” device police use as a distraction — and saw about 50 armed officers swarm a man standing outside a white van. They ordered Sayoc to the ground, Fiori said, and he did not resist. Investigators believe the mailings were staggered rather than sent all at once. Officials were working to make sure they hadn’t overlooked others.